› Meet Product Designer Ana Tevšić! ZIYP: Ana, can you tell our readers, in brief, about yourself? Who is Ana Tevšić? AT: My name is Ana Tevšić. I was born in Pula, but I live and work in Zagreb as a product designer. I run a studio with the brand name ''-Love, Ana'' under which I produce numerous products related to interior decorating. 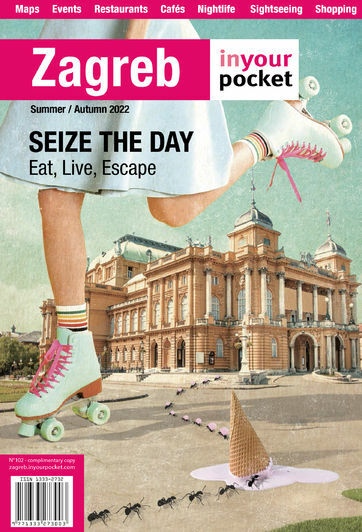 ZIYP: Ana, in this issue of Zagreb IYP, we are presenting food to our guests and are writing about our markets. You've made an excellent series of 'household merchandise.’ Tell us about your products. wooden trays for serving food. ZIYP: Can you give one 'insider tip' to our readers? What makes you happy in Zagreb? and from the main square one can, within ten minutes, get lost in deep greenery. All this makes a charming small metropolis.